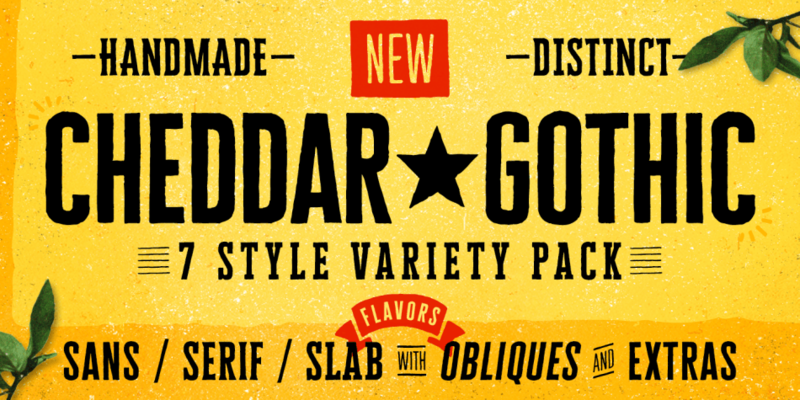 Cheddar Gothic is a hand-drawn typeface created & published by Adam Ladd which is available in 7 styles. It contains Sans, Serif, Slab styles each with italics and an Extras style. With a wide range of OpenType features and multilingual support, it merge well on both small & large size text. Also it can be use for any kind of project from packaging, poster, headline, t-shirt to website. Taste that Cheddar Gothic! A font description published on Monday, September 12th, 2016 in Adam Ladd, Fonts by Alexandra that has 4,909 views.